Connects VGA male plug to a female port at a 90-degree up angle. Up angled VGA male to VGA female connector. 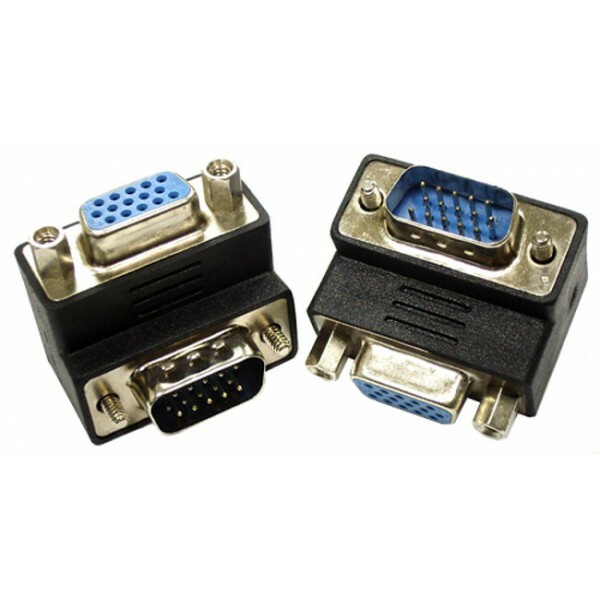 Angled connector is ideal for tight spaces. Repositions cable jack for easy access to relieve stress on equipment where space is limited.